This morning while walking through the Celery Bog I heard a noise coming from behind me. I was being called to turn around. 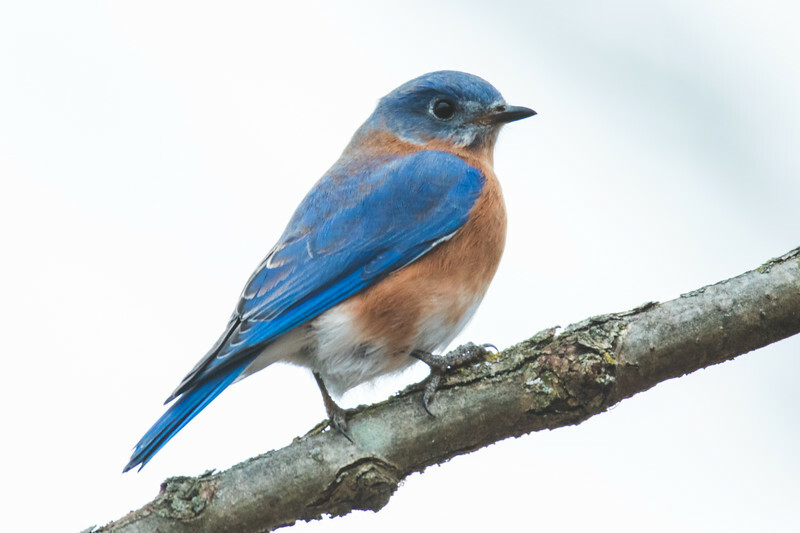 This bluebird was sitting on a branch unobstructed calling to me. If the bird wants to be photographed then I might as well photograph it. We had a mini shoot with a second pose even. This was the second pose which I thought was much more becoming of a bird. Sometimes you get lucky, and the birds want their photo to be made. When I head out to the Celery Bog things could go a couple of ways. You could have a great day or you could have a bad. On a cold morning like this morning I wanted something for my effort. When this happens at the beginning of the walk you know that you have at least one photo it lets you try some things the rest of the way. Getting that first shot early seems to always make the rest of the trip fun.